Also referred to as blue-green algae and blue-green bacteria, cyanobacteria is a bacteria phylum that obtain their energy through a process known as photosynthesis. Because they require the basic environmental conditions, this bacteria can be found in a variety of environments ranging from marine to terrestrial habitats. Cyanobacteria is also composed of a wide variety of bacteria species of different shapes are sizes that can be found in different habitats in the environment. These are spread across the 150 genera that have been identified so far and play various important roles in nature. In 1985, the proposed classification of cyanobacteria took into account the Bacteriological factor. The proposal identified four Orders of the bacteria which included Chroococcales, Nostocales, Oscillatoriales and Stigonematales. However, other orders of the phylum that have been discovered include Chroococcales, Gloeobacterales, and Pleurocapsales. The bacteria also falls under Kingdom Monera and Division Eubacteria. Further classification has however resulted in significant debate at higher taxonomic levels. * Initially, they were classified as blue-green algae because they possess chlorophyll and algal-like appearance. However, further studies showed that they are prokaryotic, which helped re-classify them appropriately. Its structural diversity has been shown to be considerable. For this reason, species had to be grouped into categories that have similar characteristics. This section will focus on the major Orders under the phylum to highlight their respective traits. This Order is composed of two main classes (Chroococcaceae and Entophysalidaceae). Species in these classes are coccoid or rod-shaped (with Entophysalidaceae being largely composed of coccoid organisms). Some of the other characteristics among these organisms include the fact that they reproduce through binary fission and they can create colonies to form dense masses that can be seen on such surfaces as moist rocks. Some of the unifying characteristics of Order Pleurocapsales are that they all reproduce through multiple fission in addition to releasing endospores. Compared to other organisms that also form endospores, members of Pleurocapsales divide through binary and multiple fission, which is the main distinguishing factor. Here, the enlargement of the spores is followed by additional binary fission to produce a mass of vegetative cells. Some of the cells in the mass go through multiple fission to release more endospores. The order is also composed of a wide range of organisms that can be found in an array of habitats ranging from terrestrial and marine environments. As they develop, some members of this order have been shown to develop as epiphytes on algae and as epiliths on such surfaces as moist rocks. * They can also produce pseudo-filaments that can reproduce through baeocytes. 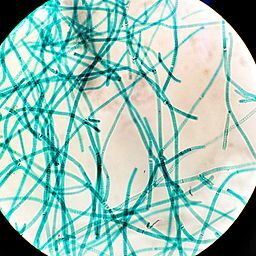 The Order Oscillatoriales is largely composed of filamentous cyanobacteria (having uniseriate filaments). However, members of this group lack true branching, akinetes and heterocysts. Members of this Order can be found in a variety of environments from fresh water and saline water bodies to terrestrial habitats. Like Stigonematales, members of Order Nostocales have heterogenus cellular composition in their trichomes. The vegetative cells in this order are also divided into heterocysts that have a thick hyaline protoplast and are involved in nitrogen fixation as well as akinetes that have in place thick cell walls that allow them to survive when conditions are unfavourable. Members of Order Stigonematales share several similar traits to those of Order Nostocales. These include such traits as trichomes with heterogeneous cellular composition as well as heterocysts and akinetes vegetative cells. Some of the other traits associated with the order Stigonematales include multiseriated filaments with true branching. Consisting of such organisms such as the members of Gloeobacter, Gloeobacterales possess phycobilisomes which are light harvesting complexes. As a result, Gloeobacterales like Gloeobacter lack thylakoids that are found in other members of cyanobacteria. However, like other cyanobacteria, they can be found in a range of environments like limestone rocks and other aquatic environments. While the Phylum cyanobacteria is composed of diverse members, there are a number of traits that can be found in the majority, if not all cyanobacteria species. For instance, a majority of the species are aerobic photoautotrophs. As such, they are heavily reliant on water, carbon dioxide, light as well as various inorganic substances for their life processes. Given that photosynthesis is the primary mode of energy production among these organisms, they are heavily dependent on sunlight, carbon dioxide and water for this mechanism to be successful. For their survival, a good number have been shown to be able to adapt through a number of mechanisms. A good example of this includes ultraviolet absorbing sheath pigments that allows some of the species to be able to survive exposed environments. They are particularly prominent in cold/hot springs; marine bodies as well as others areas where microalgae are incapable of surviving. This is made possible by the fact that they are capable of adapting to different environments. Cyanobacteria play an important role within the microbial community; for this reason, they can be found almost everywhere on our planet. However, some of these environments are unfavourable which makes it difficult for many other live organisms to survive in them. These include such environments as deserts, very hot springs and Antarctic ice shelves among others. For this reason, they need to adapt in various ways in order to survive these conditions. In addition to the ultraviolet absorbing sheath pigments found in some species, many planktonic cyanobacteria have been shown to be able to survive Ultra Violet Rays (UVR) by either floating or sinking in their environment by using gas vacuoles. For others like Oscillatoriales, survival is enhanced by actively moving from microbial mat surfaces into the matrix sediments which provide more favorable conditions. This allows the organisms to survive instances of UVR. In Antarctic Lakes, Cyanobacteria have been shown to significantly lower their oxygen consumption. The presence of chlorophyll is one of the characteristics identified. However, it is worth noting that they also have other accessory pigments that include allophycocyanin, phycoerythrin and phycocyanin. These pigments play an important role given that they help effectively utilize the light spectrum in a given region/environment. In the event of varying light spectrums, the organisms can still carry on their photosynthetic process which in turn enhance their survival. 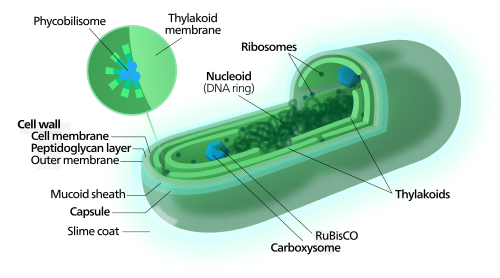 In addition, members of cyanobacteria are capable of storing various important nutrients and metabolites within thier cytoplasm. This, in addition to dinitrogen fixations, provides them with the necessary nutrition they require to survive. Among other mechanisms, this helps the bacteria survive in deep and dark environments for a long period of time. Through such adaptations, members have been able to survive in different environments, both favorable and extreme, on earth. Because of their ability to fix nitrogen, heterocystous cyanobacteria develop symbiotic relationships with a variety of eukaryotic plant species such as algae, liverworts, angiospores and ferns among others. As studies have shown, development of symbiotic relationships between free-living cyanobacteria and other eukaryotic plants results in morphological, physiological and biochemical modification thus causing a change to the original morphology, physiology and biochemical form of the bacteria. * With fungi, cyanobacteria symbiosis produces an association known as lichens. The symbiotic relationship (lichenization) between fungi and cyanobacteria only accounts for 10 percent of all lichens. Given that fungi are incapable of photosynthesis; this relationship is beneficial to the fungi given that they can receive various nutrients and thus energy from the photosynthetic activities of the cyanobacteria. Cyanobacteria have a gram-negative structure, which means that they cannot retain the primary stain during gram-staining. However, microscopic observation of the species has shown that they have a thicker peptidoglycan layer compared to other gram-negative bacteria. Studies on the peptidoglycan layer has also revealed a more complex structure (with the cross-link between the peptidoglycan chains being higher compared to other organisms). In their environment, cyanobacteria produce a wide range of compounds such as 2-methylisoborneol and geosmin. When released in water, these compounds can result in a change in the taste and odor. Apart from these compounds, they have also been shown to produce such toxins as hepatotoxins, neurotoxins and dermatoxins. These toxins, often released by planktonic species can have negative impacts on human beings in causing infections of the liver (hepatotoxins), the nervous system (neurotoxins) and skin irritation which is caused by dermatotoxins. Cyanobacteria are also responsible for microcystins (cyclic peptides that may either contain seven amino acids or other constituents that resemble amino-acid). These compounds are synthesized by enzyme complexes. The toxin produced through this process can cause serious health issues and death of metazoa. Because of these toxins, the presence of cyanobacteria in drinking reservoirs is of great concern since they can have serious health impacts on all animals including human beings. Whereas some of the toxins are released in water, some of these bacteria have been shown to release potent toxins such as anatoxin-a which is produced by Anabaena flosaquae that can cause death within 30 minutes. Some of the toxins (capable of causing paralysis e.g. neosaxitoxin produced by Aphanizornenon flosaquae) have been identified in some blooms and can also result in death. Following contact with algal blooms, these toxins can cause allergic rhinitis and dermatitis among other symptoms. Bloom forming species are often found in environments with favorable conditions (warm, stable with high nutrient levels). 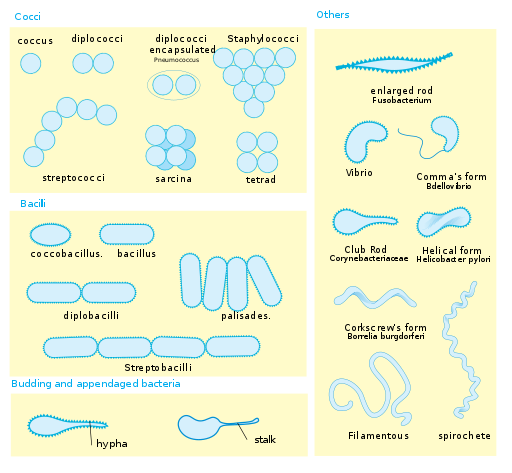 Some of the organisms identified here include members of Anabaena, Microcystis and Aphanizomenon. Effective treatment is yet to be developed and thus prevention is the best means of avoiding such infections. Here, prevention involves not drinking water from lakes and rivers (particularly those with blooms and scum). Such water should also not be used for such purposes as cooking or preparing refreshments given that they may contain the toxins. While some may think of boiling such water for safe consumption, this is also not recommended because doing so may increase the effects of the toxic substances. * This means of treatment have mostly been used on animals such as dogs. A.N. Rai, B. Bergman. 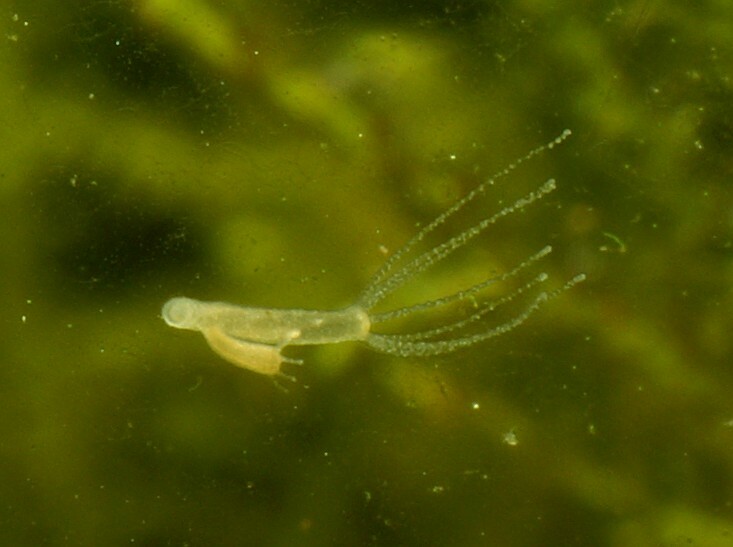 Cyanobacteria in Symbiosis. Ulla Rasmussen. 2002. W F Vincent. Cyanobacteria. Laval University, Quebec City, QC, Canada ã 2009 Elsevier Inc. All rights reserved. T. A. Sarma. Handbook of Cyanobacteria. 2012. Josef Elser . 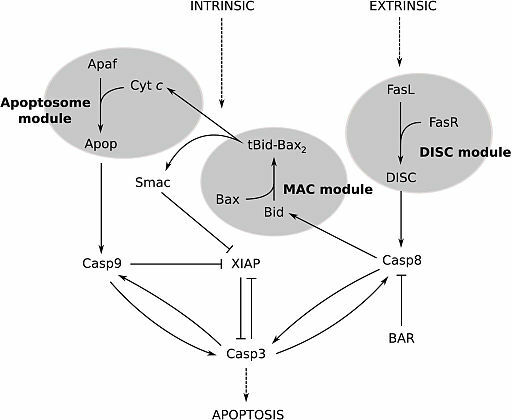 Cyanobacteria Article · June 2015 DOI: 10.1007/978-3-642-11274-4_378.